The Department of Library Special Collections recently opened an exhibit celebrating Bowling Green businessman and “Renaissance man” David Garvin. The commemorative exhibition will remain up through June 1, 2016 and is located in the Harry L. Jackson Gallery on the Kentucky Building’s second floor. The exhibit features photographs, artifacts, and manuscript material related to several important aspects of Garvin’s life: his family, his community involvement, his interest in historic preservation, Camping World, Beech Bend, and his beloved Ironwood Farm. Items on display include a large gaming wheel from Beech Bend Park, a portrait of Garvin, trophies won by Ironwood horses, catalogs from Camping World, a painting of the Old Richardsville Road Bridge which he restored, along with dozens of Beech Bend souvenirs and postcards. David Berry Garvin was born in Bowling Green, Kentucky, on 22 February 1943, the second child and only son of Charles Cromwell & Martha (Berry) Garvin. He attended the Western Training School and graduated from College High in 1961. He attended Vanderbilt University and graduated from Western Kentucky University; he furthered his education by taking classes at Harvard Business School. He was a member of Bowling Green’s First Presbyterian Church and the E.Q.B. Literary Club. 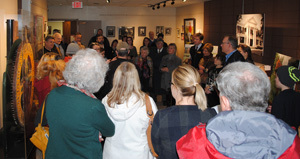 Friends and family gather in the Harry L. Jackson Gallery to commemorate the life of David Garvin. In the early- 1940s, David’s father, Charles T. “Charlie” Garvin purchased Beech Bend Park, which adjoined the family farm. That began a long career in family recreation for both Charlie and David. Beech Bend Park eventually grew to become a nationally known amusement park and raceway and one of Kentucky’s largest tourist destinations. David was instrumental in helping develop the International Race Track at Beech Bend. David worked at Beech Bend from the time he was 12 years old. 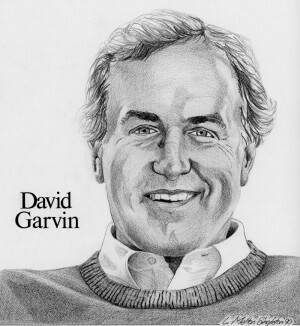 In his early 20’s, while still working at the park, David founded Camping World (1966), a company which serviced the growing number of people who owned or rented recreational vehicles. Headquartered in Bowling Green, Camping World grew into an important mail order business and eventually opened 100 retail stores nationwide and employed 5,000 employees. David eventually sold most of his interest in Camping World to dedicate more of time to the development of a thoroughbred horse operation at his Ironwood Farm. Besides his business interests, Garvin maintained an avid interest in historic preservation. He purchased and restored Ironwood, the historic home of Joseph Rogers Underwood on the Barren River near Beech Bend Park. He also restored the Old Richardsville Road Bridge and the College Street Bridge and supervised the development of an adjacent river park. Challenging CSX Railroad, Garvin almost singlehandedly persuaded the railroad behemoth to strip the old silver paint off the Barren River railroad bridge and allow the metal to oxidize therefore making it more attractive at this busy entrance to the city. Garvin and his son David renovated the rear of the old Bowling Green Armory into an attractive apartment building. Besides his development and management of Camping World, David also undertook several land development projects in the Bowling Green area, including the building of Sugar Maple Square, a retail shopping center, on Highway 185, northwest of Bowling Green. He was also heavily involved in conceptualizing land use for a commercial recreational vehicle haven in Franklin, Kentucky–Garvin’s–that was to include several national chain stores, a recreational vehicle museum, amusement rides, and an area for camping. Garvin married Charlotte Mann in 1969. They had four children: Katherine, Kimberley, David, and Arthur. Garvin died on 30 August 2014 at the age of 71.